Date night is always a good idea! When thinking about where and how you want to spend a romantic evening. 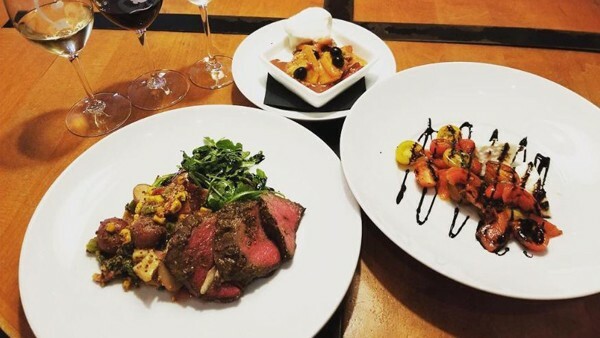 Allen has great dining options offering unique experiences for a special date. Located in the The Village at Allen, Bar Louie offers American fare like burgers, flatbreads and salads. This is the perfect place for a fun, laid-back date night in North Texas. Call 469.709.2050 to make your reservations now. Give your date a pizza your heart by taking her to Mio Nonno for a special dinner. This authentic Italian restaurant uses recipes straight out of Central and Southern Italy and even imports some of their ingredients from the delicious boot-shaped country. They are famous for the wood-fired smoky pizza crust you can’t get anywhere else. Make your reservations today by calling 214.383.6661 to snag a table at this sought-after restaurant. Wine not enjoy date night at a wine bar? Guests can enjoy a selection of over 300 bottles at Cru Wine Bar ensuring the perfect pairing with your dinner. From small plates to share like cheese boards, lobster and shrimp potstickers and lamb lollipops, to individual pizzas and main courses, it is impossible to leave hungry or unhappy. Call 972.908.2532 to book your table for two today.